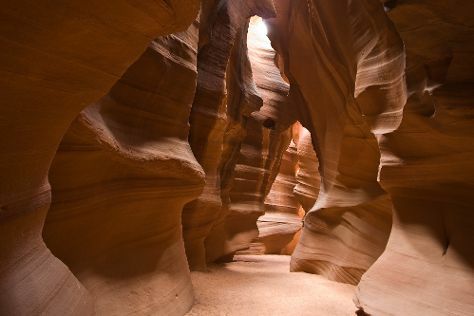 Start off your visit on the 7th (Fri): have fun at Gunfighter Canyon, then explore the striking landscape at Horseshoe Bend, and then take in breathtaking views at Antelope Canyon. On your second day here, surround yourself with nature on a nature and wildlife tour. To see reviews, where to stay, and more tourist information, you can read our Page tour planner . Newark to Page is an approximately 7-hour flight. You can also do a combination of train and flight; or drive. The time zone difference when traveling from Newark to Page is minus 2 hours. Traveling from Newark in June, expect nights in Page to be about the same, around 69°F, while days are a bit warmer, around 96°F. Finish your sightseeing early on the 8th (Sat) to allow enough time to drive to Grand Canyon National Park. On the 10th (Mon), hike the day away at Bright Angel Trail. There's still lots to do: explore the stunning scenery at Grand Canyon South Rim, take some stellar pictures from Yaki Point, don't miss a visit to Powell Point, and hike along South Kaibab Trail. For more things to do, ratings, traveler tips, and more tourist information, you can read our Grand Canyon National Park trip itinerary maker website . Traveling by car from Page to Grand Canyon National Park takes 2.5 hours. When traveling from Page in June, plan for slightly colder days in Grand Canyon National Park, with highs around 85°F, while nights are much colder with lows around 42°F. Finish your sightseeing early on the 12th (Wed) to allow enough time to drive to Sedona. 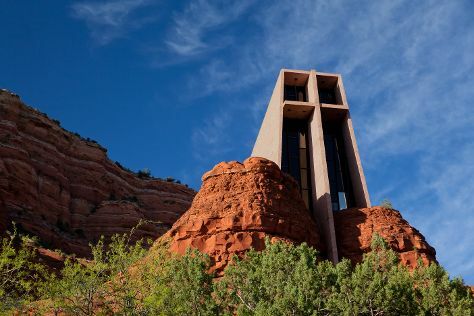 On the 13th (Thu), explore the striking landscape at Cathedral Rock, then take in the spiritual surroundings of Chapel of the Holy Cross, and then contemplate in the serene atmosphere at Amitabha Stupa & Peace Park. Get ready for a full day of sightseeing on the next day: soothe aching muscles at some of the top local wellness centers, take a memorable drive along Red Rock Scenic Byway (SR 179), and then explore the striking landscape at Bell Rock. To see reviews, more things to do, traveler tips, and more tourist information, read our Sedona trip planner . Traveling by car from Grand Canyon National Park to Sedona takes 2.5 hours. While traveling from Grand Canyon National Park, expect a bit warmer days and warmer nights in Sedona, ranging from highs of 94°F to lows of 68°F. Finish your sightseeing early on the 14th (Fri) so you can drive to Scottsdale. Scottsdale is a city in the eastern part of Maricopa County, Arizona, adjacent to the Greater Phoenix Area. On the 15th (Sat), take in nature's colorful creations at Desert Botanical Garden and then examine the collection at Musical Instrument Museum. To see traveler tips, maps, more things to do, and other tourist information, refer to the Scottsdale online travel planner . Traveling by car from Sedona to Scottsdale takes 2.5 hours. Alternatively, you can do a combination of taxi and flight; or take a bus. In June, Scottsdale is somewhat warmer than Sedona - with highs of 107°F and lows of 81°F. Wrap up your sightseeing on the 15th (Sat) early enough to travel to Hartford. Hartford is the capital of the U.S. Start off your visit on the 16th (Sun): admire the masterpieces at Hill-Stead Museum, explore the world behind art at New Britain Museum of American Art, and then contemplate the long history of The Mark Twain House & Museum. To see where to stay, other places to visit, more things to do, and tourist information, refer to the Hartford trip planner. Getting from Scottsdale to Hartford by combination of flight and bus takes about 9.5 hours. Other options: fly; or drive. Due to the time zone difference, you'll lose 2 hours traveling from Scottsdale to Hartford. Expect cooler temperatures when traveling from Scottsdale in June; daily highs in Hartford reach 80°F and lows reach 60°F. Finish your sightseeing early on the 16th (Sun) to allow enough time to travel back home.